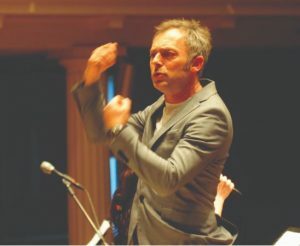 English conductor Charles Hazlewood will be in Perth in February with the British Paraorchestra. He talks with Rosalind Appleby about disabilities, the haptic baton and disrupting classical music. When was the last time you saw a stage with disability access? Or a professional orchestra that included musicians with disabilities? In 25 years of conducting the world’s top orchestras, English conductor Charles Hazlewood had seen neither. “If music is the great universal language how can it be that an orchestra – which is the beautiful large evidence of that – how can it be it doesn’t have people of disability in it? It’s a no brainer,” says Hazlewood. We are talking over the phone ahead of Hazlewood’s visit to Perth with the British Paraorchestra as part of the Perth Festival. In 2010, inspired by his daughter who has cerebral palsy, Hazlewood founded the world’s first large-scale professional ensemble for virtuoso musicians with disabilities. The British Paraorchestra made their debut at the closing ceremony of the London 2012 Olympics. But Hazlewood’s dream is not just to provide musicians with disabilities the opportunity to play in orchestras. He wants to disrupt the barriers around our experiences of traditional orchestral music. 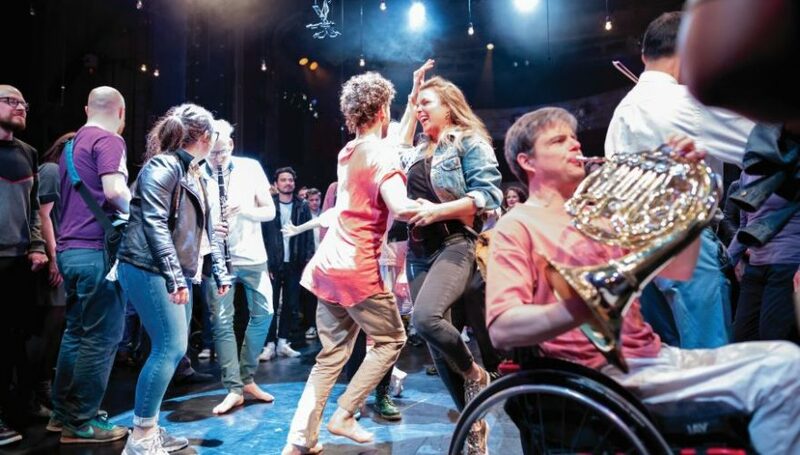 Hazlewood and the Paraorchestra are bringing to Perth their adventurous dance and music theatre work The Nature of Why. The immersive all-age experience involves four dancers and the Paraorchestra musicians supplemented by the string players of the Perth Symphony Orchestra. 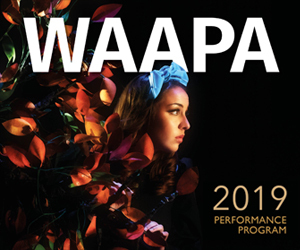 The work was created in 2018 in collaboration with Australian choreographer Caroline Bowditch with music composed by keyboardist Will Gregory from the electro-pop duo Goldfrapp. Their inspiration came from the Novel prize-winning physicist Richard Feynman and audio excerpts from his lecture Why underpin the work. The Nature of Why erases the boundaries between audience, music and movement with musicians and dancers performing in and around the audience. 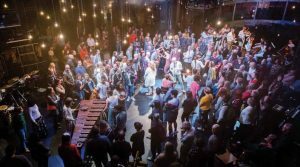 The blurring of genres and boundaries in The Nature of Why reflects the British Paraorchestra’s goal to re-invent the orchestra for the 21st century. The makeup of the Paraorchestra includes a Baroque lute, a Celtic harp, lap steel guitar and conventional instruments. The performers are people with hearing impairment, spina bifida, cerebral palsy and other disabilities, often using technology assisted devices to enable them to play their instruments. Hazlewood says the recent invention of the Haptic Baton means for the first time in history vision impaired musicians will soon be able to perform in an orchestra. Wireless transmissions from the conductor’s baton will transmit to a radio pack worn by the performer and the buzzes on their body will indicate the beat plus the space between the beat, enabling the performer to follow the ebb and flow of the music. Hazlewood’s dream of a level playing field is one step closer. Charles Hazlewood will present a keynote address Building an Orchestra for the 21st Century on 18 February. The Nature of Why runs 21-23 February at the Heath Ledger theatre.